Home » Health & Wellness » Dr. Oz and Reiki – What does Dr. Oz and Research say about Reiki? America’s Doctor – Dr. Oz – thinks that we should all try Reiki healing! You may know Dr. Oz from Oprah, or from his own TV show ”The Dr. Oz Show”. According to Dr. Oz, Reiki is definitely worth a try, especially if you have chronic headaches or other chronic illnesses. “If you have got a medical problem that you can’t solve, you may find the answer in Reiki healing”, Dr. Oz says. 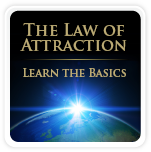 Learn what Dr. Oz has found in his studies on Reiki, and what research says about Reiki and Energy healing, see videos below. Reiki is an energy medicine that is practiced by thousands of people in the United States and millions around the world. This energy healing technique is increasing in popularity and over 800 hospitals across the U.S. offers Reiki healing. In January 6, 2010, Dr. Oz introduced Reiki Master Pamela Miles on his TV show, to demonstrate Reiki healing.“Today I am revealing my ultimate alternative medicine secrets….what I think may be ultimately the most important alternative medicine treatment of all…this is the area of energy medicine”. Dr. Oz was referring to the energy medicine that is called Reiki healing. During the TV show, a member from the audience who suffered from headache volunteered to participate in the healing demonstration with Reiki Master Pamela Miles. After a short while the volunteer felt a heat sensation and that her headache was going away. 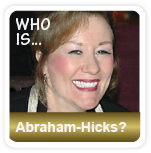 Pamela explained that Reiki is a balance process. Rather than addressing the headache or any other symptom / problem, Reiki influences the person’s overall system towards balance, and then as the system becomes more balanced, symptoms tend to fall away. Over time, as one receives Reiki healing, the symptoms will slowly fade away. For example, if the person has been suffering from headaches, he/she will get them less frequently. Dr. Oz believes that the future of energy medicine has arrived! According to Dr. Oz: ”The use of energy healing will be the biggest frontier in medicine over the next decade…the reason for this is…what defines life at the level of the cell, it’s all about the energy on the inside and the outside being different, that’s what defines life…but because we can’t measure that medicine we have been hesitant to think about tapping in to it”, see video below. Dr. Oz has been tapping in to energy medicine and has studied the effects of Reiki. For instance, he has used energy healers, known as Reiki Masters, in his studies as they were giving Reiki to open heart patients in the operating room. So what was the outcome? What does research say about Reiki / Energy healing? Is Reiki and Energy healing just a placebo effect, or is it possible to prove and measure its healing effects? Let’s take a look at what research has found. UCLA Medical Center is considered among the top three hospitals in the United States, and many cutting-edge therapies have been implemented here. Research on the effects of energy healing on children suffering from chronic pain, has been carried out at the UCLA Medical Center. When traditional medicine failed, the children in the study tried energy healing. According to research at the UCLA Pediatric Clinic, intuitive energy healers seem to be able to help with chronic pain. The intuitive healer and psychotherapist Carolyn Coleridge was part of this cutting-edge treatment program ”UCLA Collaborative Centers for Integrative Medicine”. She performed hands on energy healing on children with chronic pain at the UCLA Pediatric Clinic, and the results seemed very optimistic. A research team in San Diego, that was funded by the National Institute of Health, studied the effects of energy healing on breast cancer patients. They specifically studied if the fatigue levels of breast cancer survivors changed when they were given energy healing. Also, they wanted to see if energy healing affected the mood and the level of depression in the patients. The findings were very promising. Women who received hands-on healing had significantly reduced their levels of depression and fatigue compared to the members of the group who didn’t receive any energy healing. Reiki may be for YOU! Dr. Oz has revealed that his own wife, Lisa, is a Reiki Master and uses Reiki healing on their kids when they are sick. Sometimes she also treats Dr. Oz when he is in a bad mood! Now it’s your turn to discover the benefits of Reiki. The health benefits of Reiki may include pain relief, increased energy, improved sleep, and stress reduction. Follow Dr. Oz’s advice: “Try Reiki! This alternative medicine can manipulate your energy and cure what ails you”. 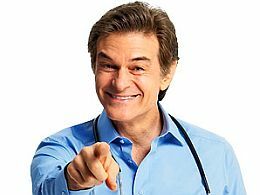 Dr. Mehmet Oz holds an M.D. from the Medical School of the University of Pennsylvania, and also an MBA from The Wharton School. He is the vice chairman of surgery at Columbia University, and the director of the Cardiovascular Institute and Complementary Medicine Program at New York Presbyterian Hospital.